We’ve all seen the ads telling us not to buy junk. We know from experience that cheap toys and breakable plastic just wind up in the recycling at best, and the garbage at worst. So this year, buy a gift with the highest credentials: locally sourced and produced, supportive of the arts, and built to last for multiple users. Tastefully produced and beautiful to look at, our magazine appeals to every reader because we provide a spectrum of genre fiction, and all of it fresh and appealing. Make your Christmas shopping easy. 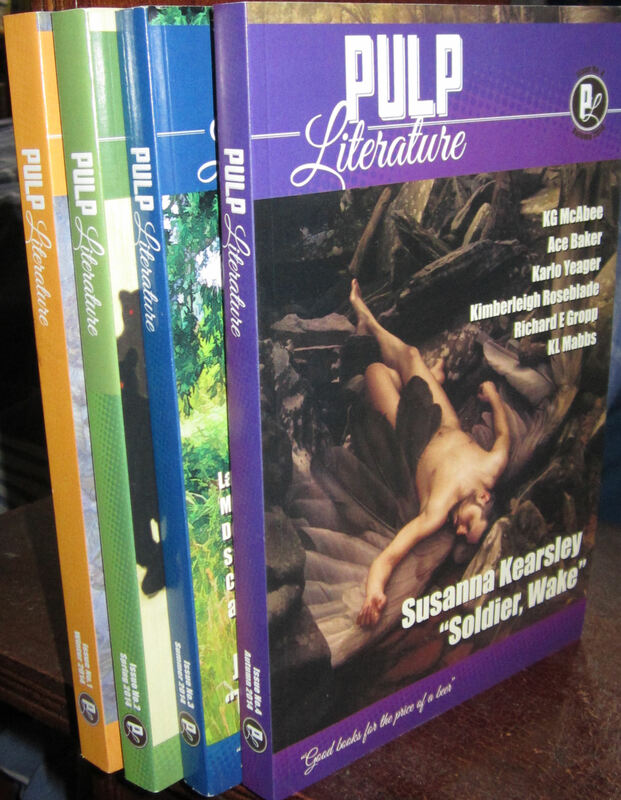 For $40, you can have four issues of Pulp Literature delivered to the door of your friends or relatives. 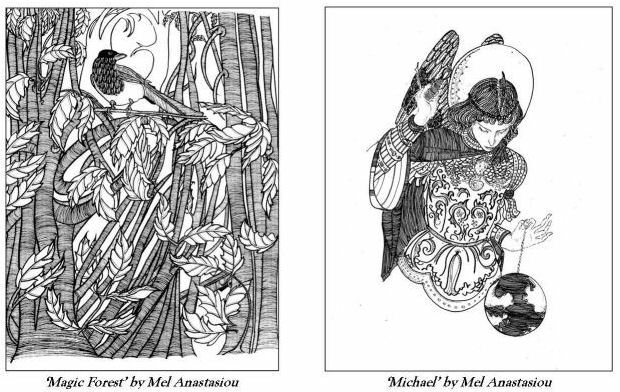 For an additional $10 we’ll include a beautiful gift announcement card by Mel Anastasiou, handwritten and personalized with your message. No fuss, no muss. No braving the weather, no cruising the mall. No gift wrapping. No delivery charge. And you can contribute to the intellectual growth and creative stimulation of someone you love. Mailed four times a year, eagerly anticipated, and guaranteed to bring a smile. It’s a year-round gift that brings gratitude in every season. There are just a few days left in our Kickstarter campaign. Back the campaign now, and we’ll play Santa while you enjoy the holidays!